In its simplest form, Burp Suite can be classified as an Interception Proxy. While browsing their target application, a penetration tester can configure their internet browser to route traffic through the Burp Suite proxy server. Burp Suite then acts as a (sort of) Man In The Middle by capturing and analyzing each request to and from the target web application so that they can be analyzed. Penetration testers can pause, manipulate and replay individual HTTP requests in order to analyze potential parameters or injection points. Injection points can be specified for manual as well as automated fuzzing attacks to discover potentially unintended application behaviors, crashes and error messages. Below are some of Pentest Geek’s articles which feature Burp Suite and are intended for educational purposes. Burp Suite Tutorial – Introduction To Burp Suite – This five part video series is where your Burp Suite journey should begin. Start here if you are a Burp Suite beginner. 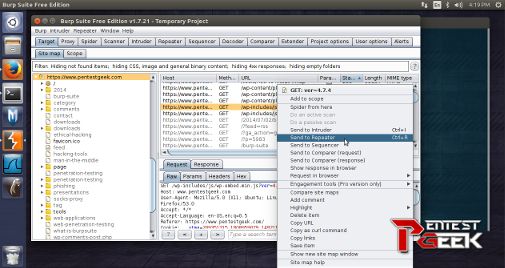 Learn how to fully optimize Burp Suite for maximum effectiveness and capability. 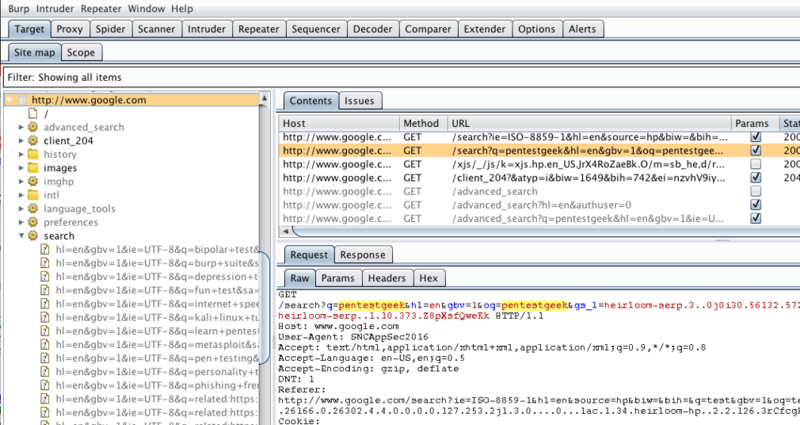 Burp Suite Tutorial – Web Application Penetration Testing (Part 1) – An introduction to web application penetration testing with Burp Suite. Discusses initial configuration and a basic overview of web testing methodology. 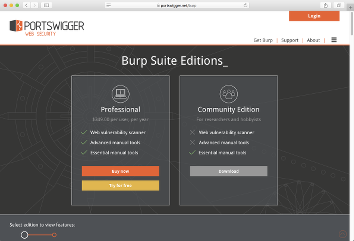 Burp Suite Tutorial – Web Application Penetration Testing (Part 2) – Expanding on the previous tutorial and offering deeper insight into some of the more advanced features and functionality. Targeted for slightly more advanced users. Credential Harvesting via MiTM – Burp Suite Tutorial – This article explores some potentially malicious use cases for Burp Suite as a Man In The Middle attack vector used to harvest credentials during a penetration test. We highly recommend you purchase The Web Application Hacker’s Handbook. This book covers every aspect of Burp Suite great detail and should be considered an absolute MUST READ for any professional that is serious about Web Penetration Testing. I would like to know if I will get a support in case I got stuck in the lab by some reason. Thanks.